And we’re back. Long story short, here’s the scoop: Last week we ended The Bachelor with a dreaded “To be continued.” So Kelsey had a “panic” attack and then magically recovered five seconds later thinking about brownies. The paramedic asked, “Is there anyone I can grab for you?” Of course she said, Chris. “He’s going to give me a rose for sure. Let’s just cut to the chase,” says Kelsey to the paramedic. Um, earth to Kelsey. But no one in his or her right mind fakes a panic attack, and lives to laugh about it like some crazy evil witch. Unless you’re Kelsey, that is. At the Rose Ceremony Chris sends home Mackenzie and the girl with black long hair. Does anyone know her name? Becca gets the first one-on-one date. She’s the only one he hasn’t kissed. Way to go Becca! You stay away from the norm. Meanwhile, Kelsey gets a pep talk from the other girls. But little do they know that you can’t trick a faker. On the group date, everyone else goes except Kelsey and Ashley I. You know what that means: Two-on-one date. I could basically hear the gasps across all of North America. But before we get a head of ourselves, let’s do a quick recap of the group date. Big and Rich give Jade a pep talk because she’s feeling too insecure. 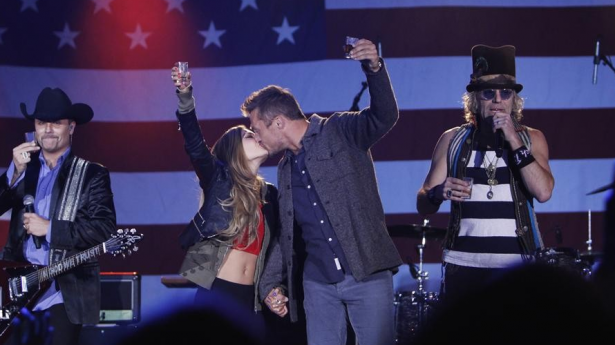 We watch all the girls write Chris a love song (so awkward), and then Chris and Britt run away to have their own private moment at the Big and Rich concert. As you can guess, the other ladies were not impressed. So they all cry over Britt. And here comes the finale! 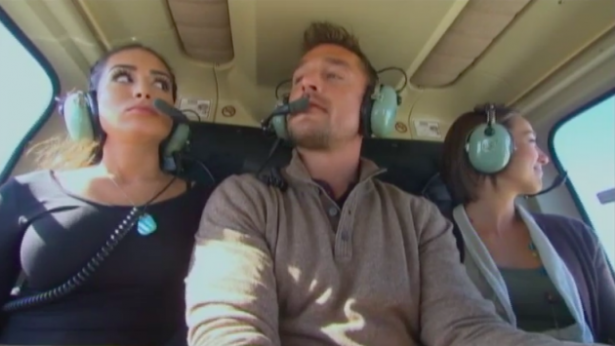 Chris takes Kelsey and Ashley I. to the middle of what looks like a desert, so spend some “quality” time with the ladies. Just kidding, this is his way to get them to manipulate one another so he can send both ladies home, and watch them cry from above in his private helicopter.